In many ways, the web has improved the interaction between customers and businesses. We can find what we want more quickly, assess the quality of what’s on offer with reasonable accuracy, and avoid the once ubiquitous salesperson’s attempts to manipulate and upsell. But, in some ways, interacting with companies online creates a depersonalized environment. There’s really no substitute for direct and immediate contact with a human being capable answering questions and understanding the nuances of a lead’s particular requirements. Adding live chat to your WordPress site gives customers a direct line of contact, and can help reduce lost leads by satisfying customer queries in real time. A decade ago, we’d have simply picked up the phone and asked, but we’ve fallen out of the habit of communicating by telephone, and many companies make it difficult to contact them by phone, largely because maintaining call centers can be expensive and FAQs are cheap. It’s not just a matter of providing customers with the convenience of direct contact. Conversion rates can also be impacted. Imagine you’re a customer browsing through an eCommerce site looking at your products. They know what they need, but aren’t sure if what you’re selling will fulfill that need. Your web copy is compelling, but it’s impossible to answer every potential question that a consumer might have. Do they buy? Perhaps, but there is an increased likelihood that they leave it for another day and end up buying elsewhere, or head off to a brick-and-mortar store where they can talk to someone with product knowledge. Sure, they could send an email with their question, but closing sales as quickly as possible is the best way to keep conversion rates up. Add those lost sales together and a failure to provide a direct line of contact can result in a significant hit to the bottom line. As I said, many small businesses don’t have the wherewithal to provide call center staff to man the phones answering sales question. But most can support another method of direct communication: live chat. Imagine an alternative to the situation we considered above. The customer has a question. She spots a live chat box at the bottom of your site and enters her question. The message is routed to a member of staff who is “on-call” for customer questions. That member of staff can be anyone at the company, from the CEO on down. They don’t have to dedicate time to sitting waiting for phone calls. They can go about their day and answer the occasional chat request on their phone, tablet, or other device. After a brief conversation with a knowledgeable member of staff, the customer is satisfied, has formed a good impression of the company, and goes on to make the purchase. Live chat has the potential to change the way that your company interacts with its customers. 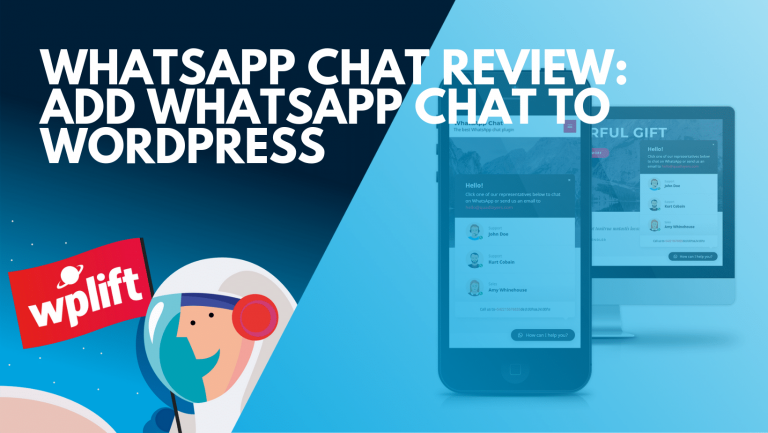 There are several solutions for WordPress users that integrate live chat systems into WordPress, but one of my favorites is Chat from WPMUDEV, which has a free version offering limited functionality and a paid version with advanced features like the ability to allow Twitter, Facebook, and Google Plus users to join chats. If Chat doesn’t satisfy your needs,ClickDesk Live Support is an excellent alternative. AVChat is a flexible video chat script for your web site. It supports group video chat, event broadcasts, instant messaging and pay per view sites. HelpOnClick is a feature rich, premium WordPress chat plugin with a beautiful user interface and powerful social media integration – one example being Facebook integration. I didn’t know that WPMU Dev had a lite version of their chat system. Do you not have any recommendations for a totally free self-hosted system that can provide chat functions?